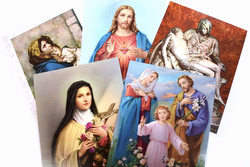 For many years, Catholics have followed the custom of enrolling themselves or their loved ones, living or deceased, for membership in The Society for the Propagation of the Faith. By doing so, they give an ongoing gift to members and the missions. Membership means the person enrolled receives the spiritual benefits of daily Masses celebrated by missionary priests, and they are also included in the intentions of a daily Mass celebrated at the Vatican. 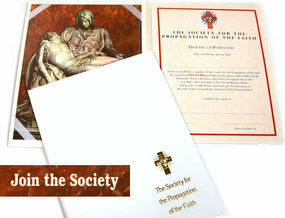 Enrollment in The Society for the Propagation of the Faith is another loving, spiritual gesture one can make for a loved one and their intentions. In many mission locations, funds from the Propagation of the Faith memberships are a substantial means of support. Many missionary priests rely on this donation because their parishioners are unable to financially sustain the parish, or the parish is young and growing with many needs. Your donation will be a spiritual benefit to your loved ones and a financial gift to the missions.